Several years before Luther wrote the Small Catechism he had asked several others to prepare a catechism for the instruction of the young. Finally Luther decided to fill the need. During 1528, when he had visited various churches in Saxony, Luther saw the poor instruction which the people received. 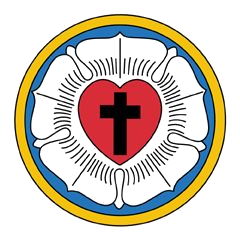 By December, 1528, Luther started writing the text of the Small Catechism. As each of the chief parts were finished they were printed on large charts. Finally an illustrated booklet was published in May, 1529. Each of the Six Chief Parts of the Catechism covers a different aspect of the doctrines of the church. In true Lutheran fashion, it starts with the Law, for the Law terrifies the sinner and shows the need for the Gospel. Following the Ten Commandments, Luther presents the Triune God in the explanation of the Apostles’ Creed. He then instructs us how to speak to God through prayer. Finally Luther shows the sacraments and the Office of the Keys where the individual Christian comes to know our gracious God. Ever since Luther wrote this simple Catechism it has been used for the instruction of young and old alike. Even after 450 years the church looks to the Catechism as the resource for explaining the Christian faith to those people who desire to become communicant members. Text of the Luther’s Small Catechism in a new window.